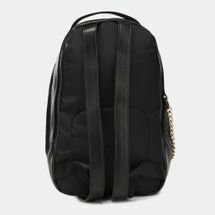 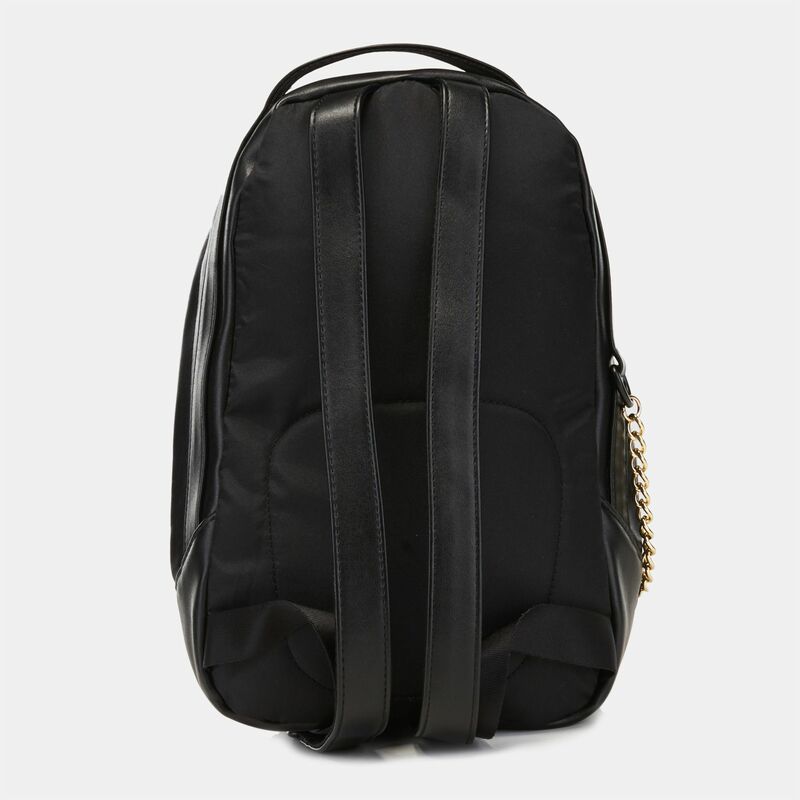 This PUMA Prime Premium Archive Backpack for women is stylishly sporty. 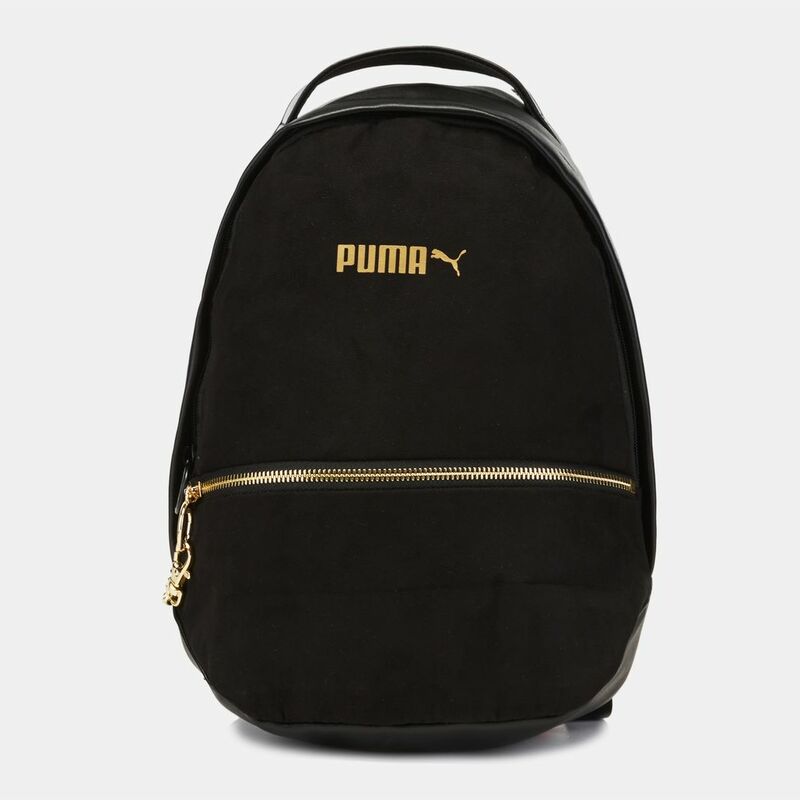 Part of the PUMA 50th anniversary of suede, this bag has suede-like material with gold details. 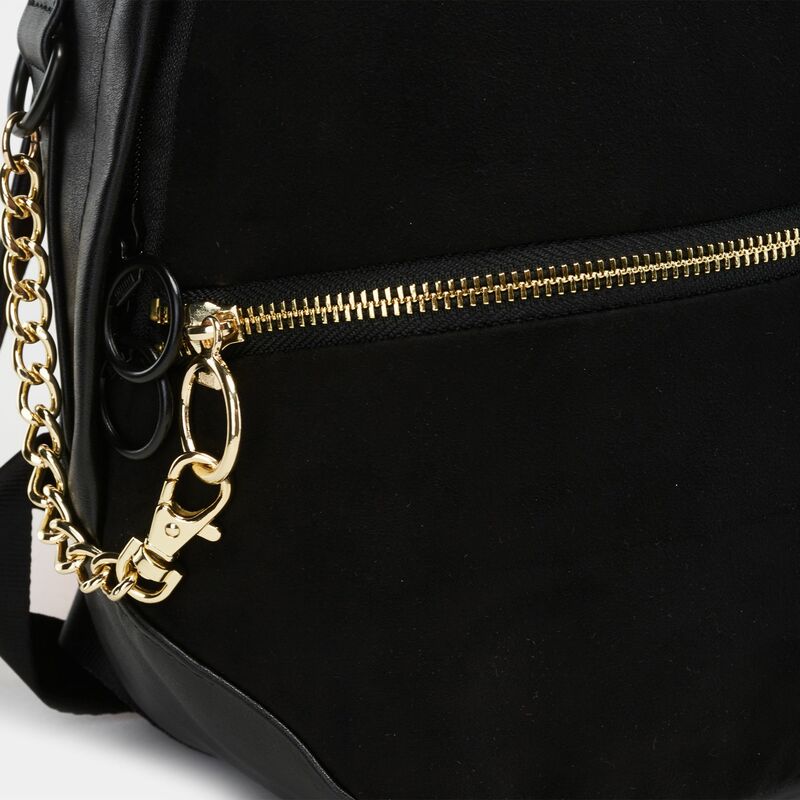 It has two-way zipper for the main compartment, front pocket and shoulder straps with PU overlay.